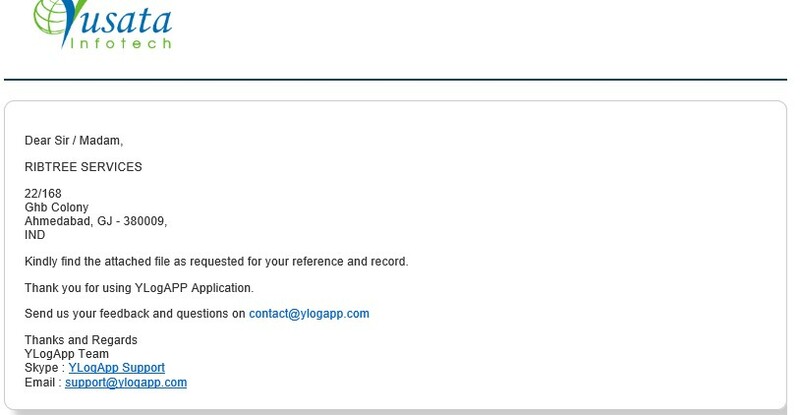 1.I have signed up for YLogApp from www.Ylogapp.com, Whats next ? After signing up from website, you will receive a confirmation email on your email provided at the time of sign up. You need to confirm your email. 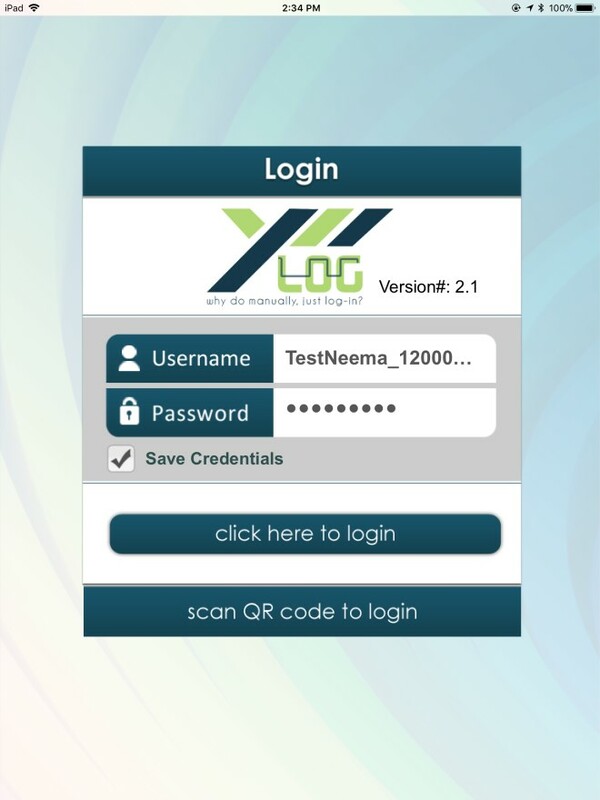 After that you need to download our YlogApp from Google Play here (If you are using an Android device) or from iTunes(If you are using an iOS device). 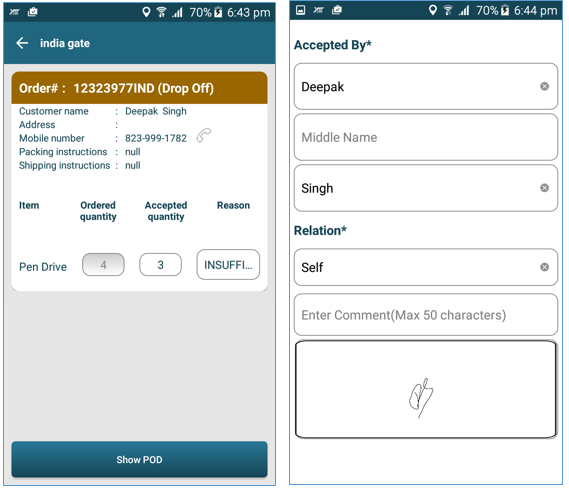 You need to add Driver and Vehicle to be used on your device and then you can log into your mobile device and its location data will be on portal under your account. 2.How can I add new driver? After login, you will be able to see Home Page. It has options for Driver. 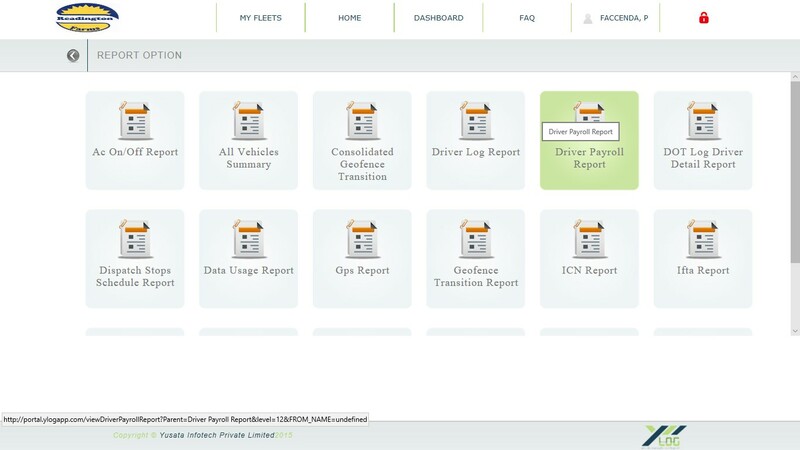 Click on the Driver tile to view your existing drivers and/or to add new drivers. Hit the "+" icon on top right corner to add new driver. 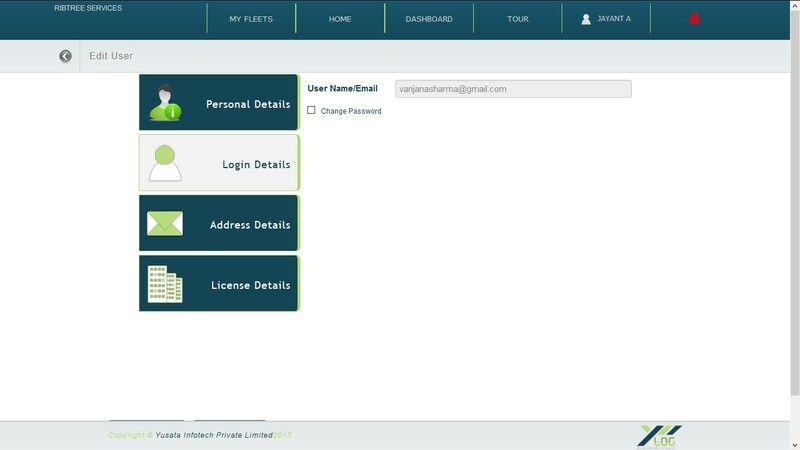 This will open up the driver registration page. Input all the required information and submit. Upon successful submission you will get notification of "Successful Driver Registration". 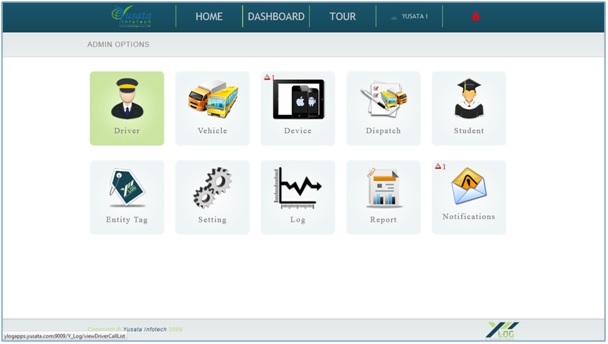 Tags are provided to drivers, users, students etc for identification. Tags may be used for check-in, check-out purposes. 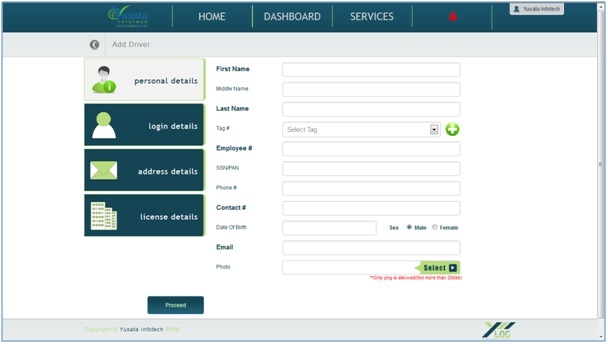 Employee# is companywide unique number to employee for records. 5.How can I add a new Vehicle? 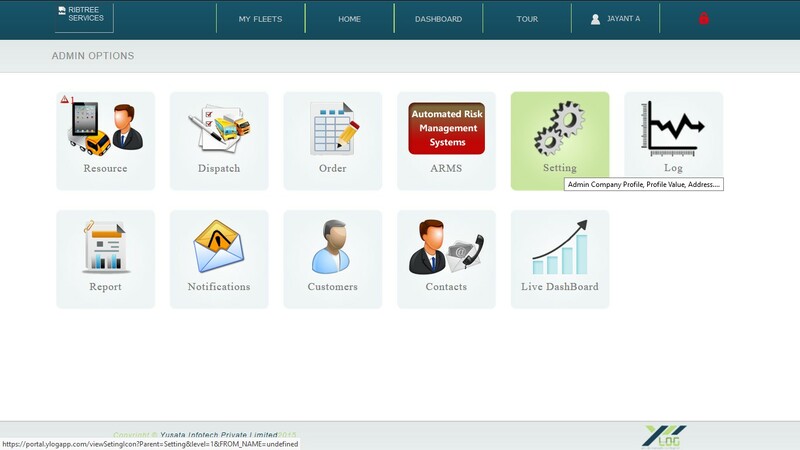 After login, you will be able to see Home Page. It has options for Vehicle. 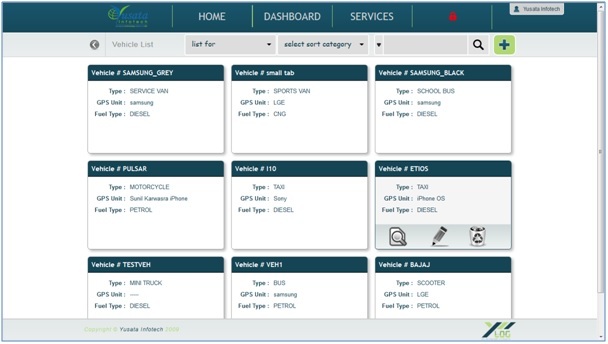 Click on the Driver tile to view your existing vehicles and/or to add new vehicles. Hit the "+" icon on top right corner to add new vehicle. 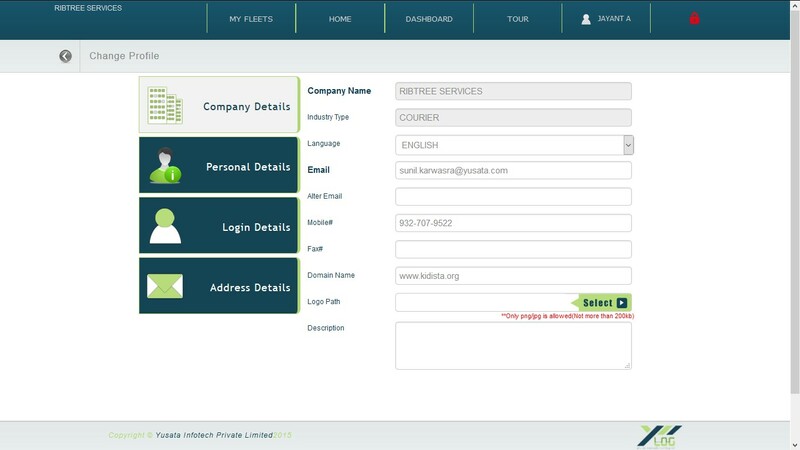 This will open up the vehicle registration page. Input all the required information and submit. Upon successful submission you will get notification of "Successful Vehicle Registration". A Vehicle Identification Number (VIN), is a unique code including a serial number, used by the automotive industry to identify individual vehicle. Sometimes it may be referred as Chassis Number. A Companywide unique number for vehicles to identify them. Odometer reading is the distance, vehicle have covered so far. Usually Odometer reading can be seen along with Speedometer. 9.I tried to log into my device and it says "This device is not authorized. Contact your administrator. " What I supposed to do? 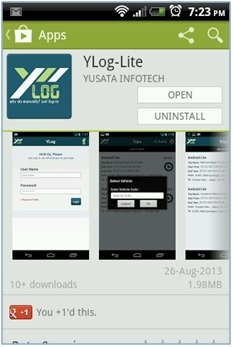 YLogapp provides security of using system by authorization process of devices. Every device needs to be authorized by Company administrator in order to be used. When you get this message on your device then you will see a notification on portal under your company account. 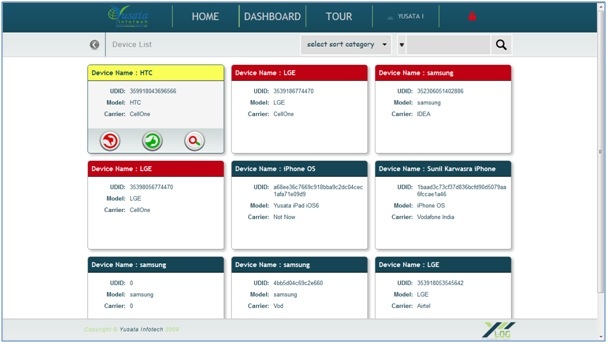 Go to Device on Home Page. 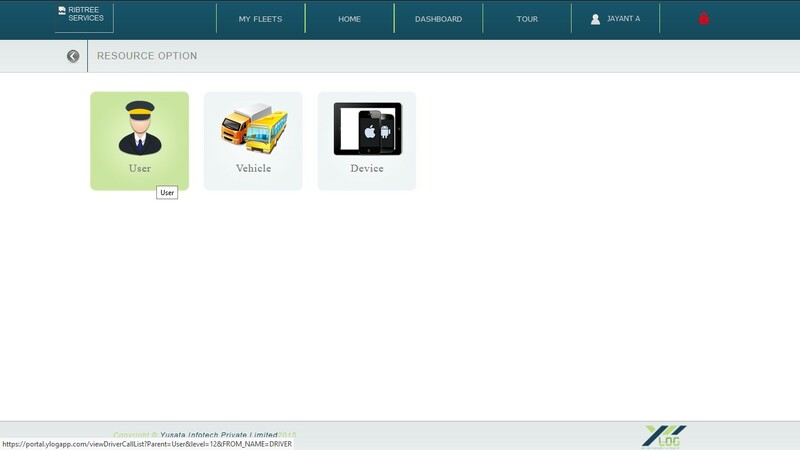 You will see options as "Device", "User Device" and "Vehicle Device". Go to "Device". You will see your device there. Here, Yellow means that device is "Pending Authorization", Red means that device is "Declined Authorization" and Blue means "Device Authorized". Click on Green icon against your device and this device will be authorized. 10. I am logged into my device. It is asking for Vehicle Code, what is it? 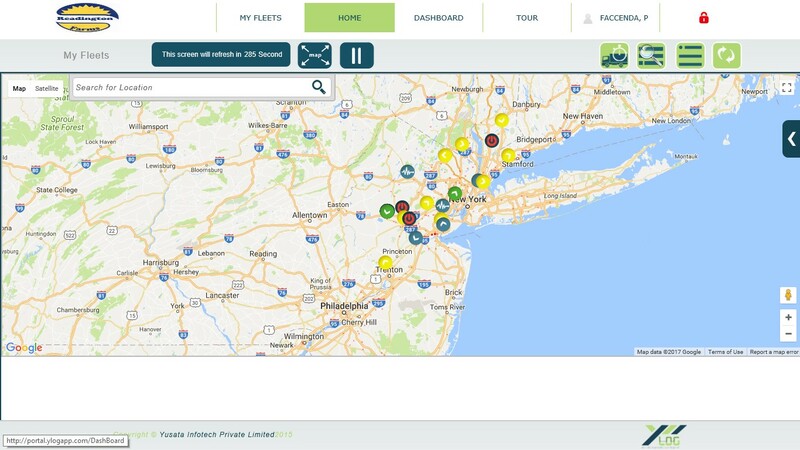 YLogApp tracks devices in order to track a vehicle. 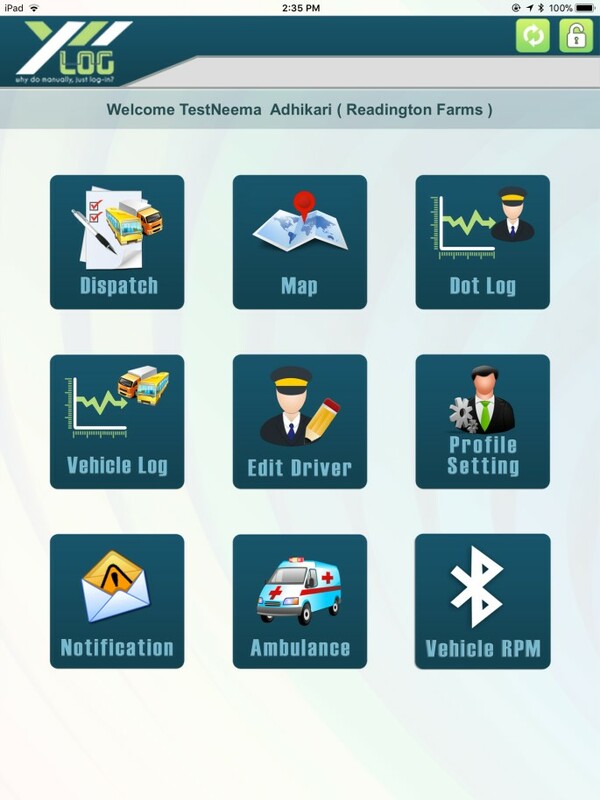 There is mandatorily a vehicle needs to be assigned with device. 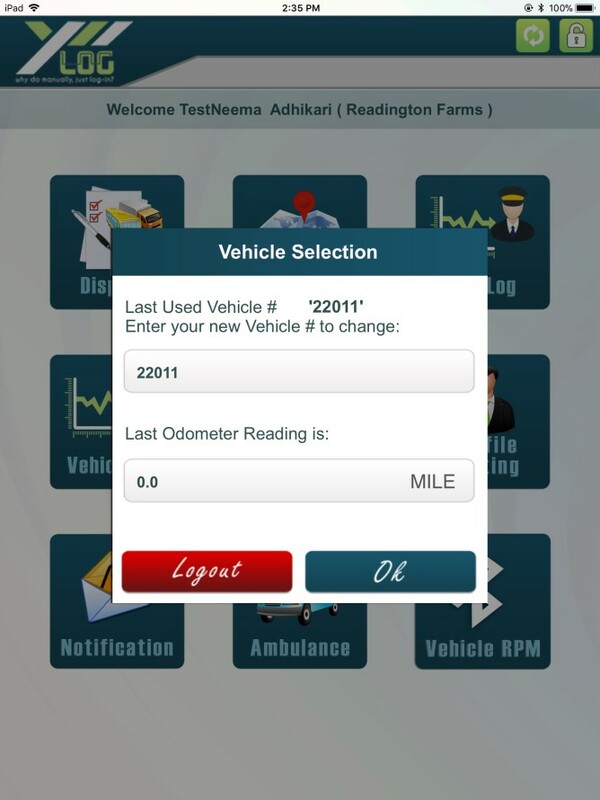 If you have already added vehicle into your account and it is not engaged with any other user then you can use it (See How to free engaged vehicle?). 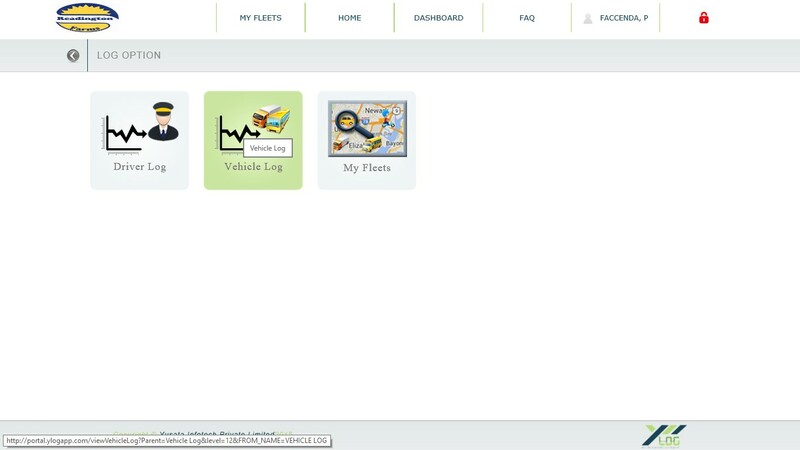 You can add vehicles from YLogapp Home Page. There is option for vehicles on Home Page. 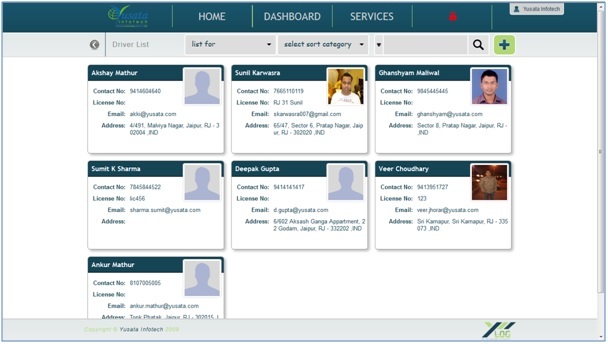 It is a companywide unique number which is given to every dispatch to identify them. 12. 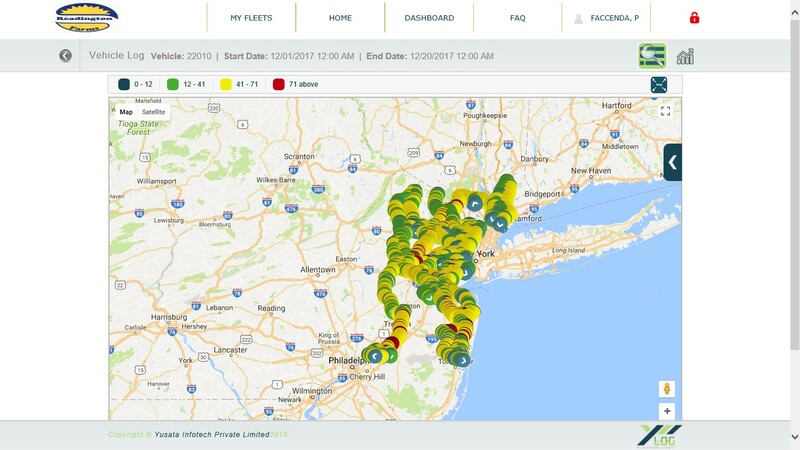 How can I add Dispatches on portal? After login, you will be able to see Home Page. 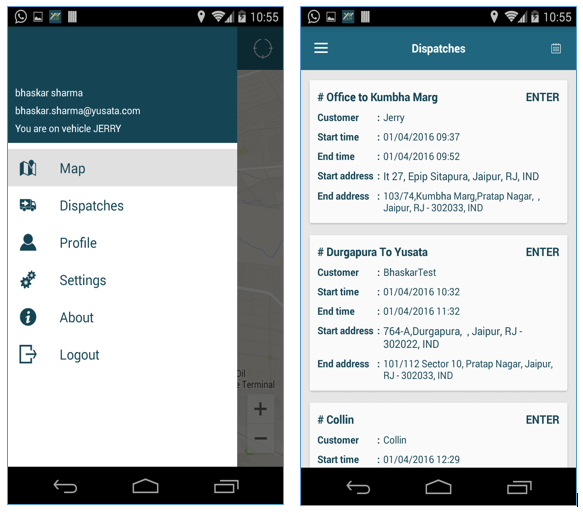 It has option for Dispatch. 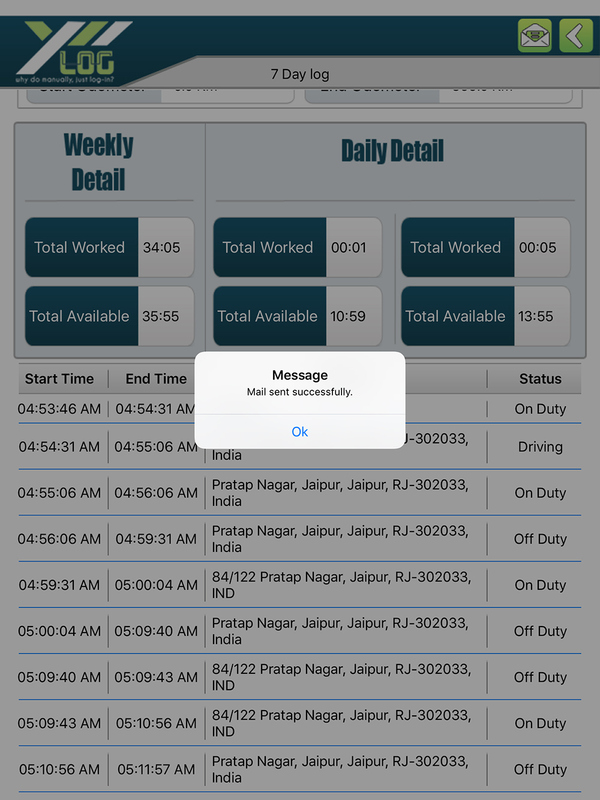 Click on Dispatch tile to view your existing dispatches and/or to add a new dispatch. Hit the “+” icon on top right corner to add new dispatch. This will open dispatch creation page. Input all the required information and submit. Upon successful submission you will get notification of “Successful dispatch added”. It is the purchase order number. 14. What is Daily Basis? You can create a dispatch in two manners either you can choose “Yes” for every day/ selected day (daily basis) or “No” for current date (Non-daily). 15. How to assign source and destination to dispatch? 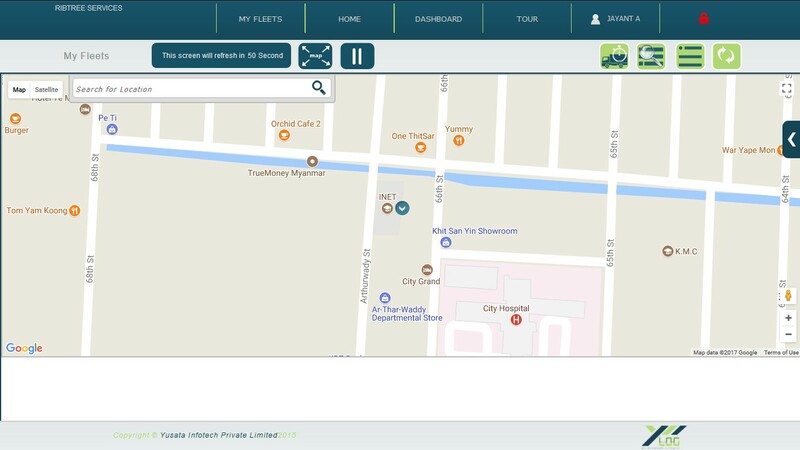 Once you have completed “Dispatch Details” tab and proceed then you will find yourself on “Place Details” tab and this tab has “Pick up place” and “Drop off place” as source and destination. A dropdown will popup when you start typing source and destination and then you can select from that list. 16. How to assign a vehicle to dispatch? Once you have done with “Place Details” tab, click on “Proceed” button and it will take you on “Resource Details” tab. You can assign a vehicle to dispatch by selecting vehicle from drop down. 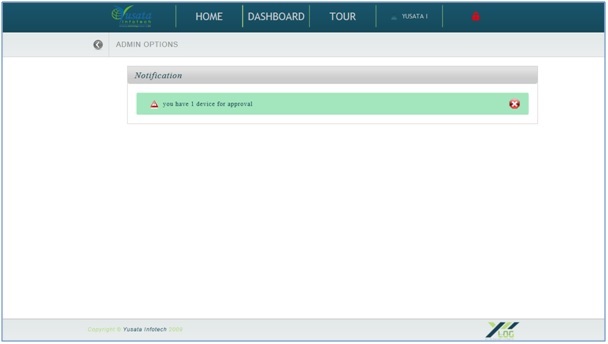 You can assign drivers as well. 17. 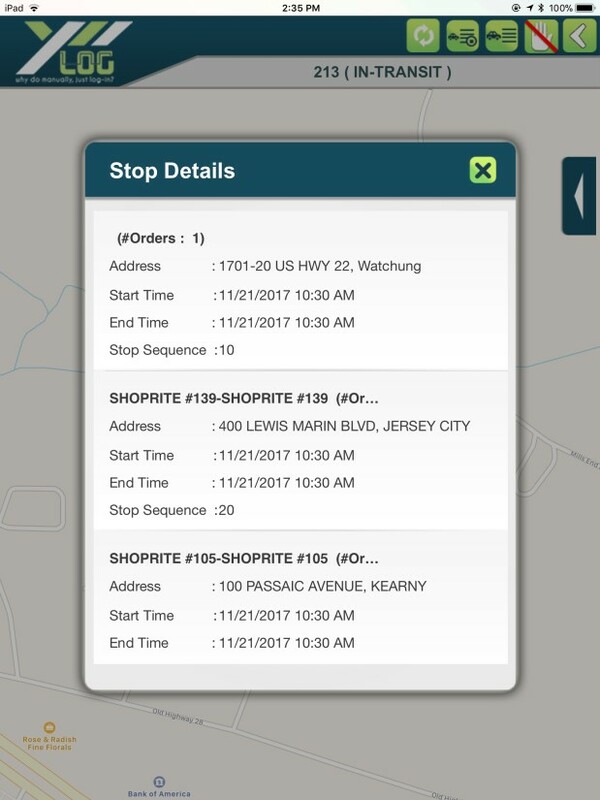 How can I add more stops in dispatch? Once you get on Dispatch list screen and you move your cursor on any dispatch then there will a “SPLIT” icon appears, click on that icon. After clicking on “SPLIT” icon, you will be on a map screen where you can add more stops. Now Click on pink colour markers and a popup will generate, click on “Ok” button. After clicking “Ok” button marker colour will change into green. 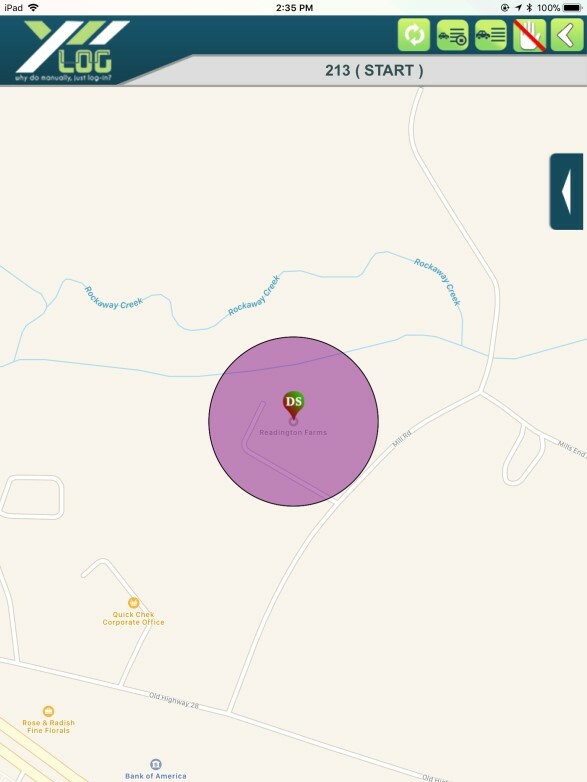 If you don’t see any geo-fence, then you can enter radius and click on search icon. It will get all the geo-fences within that radius. In above step you can set start time and end time for that stop and if you check the check box that means you want that stop daily basis. Finally click on “Submit” button and that stop will add in that dispatch with the message is in popup like “Stops successfully added to your dispatch” and marker for that stop will turned into yellow colour marker. 18. How can I switch the sequence of stops of a dispatch? In above screen, if you have more than one stop and you want to reorder their sequence then you just need to hold and drag the stop and release where you want that order in sequence, then click “Update” button to update that change. 19. 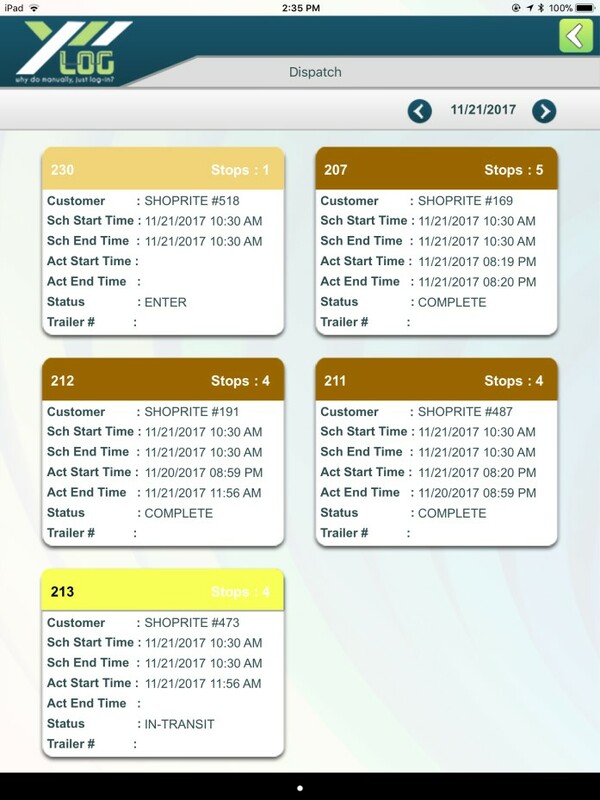 How can I add order on dispatch? 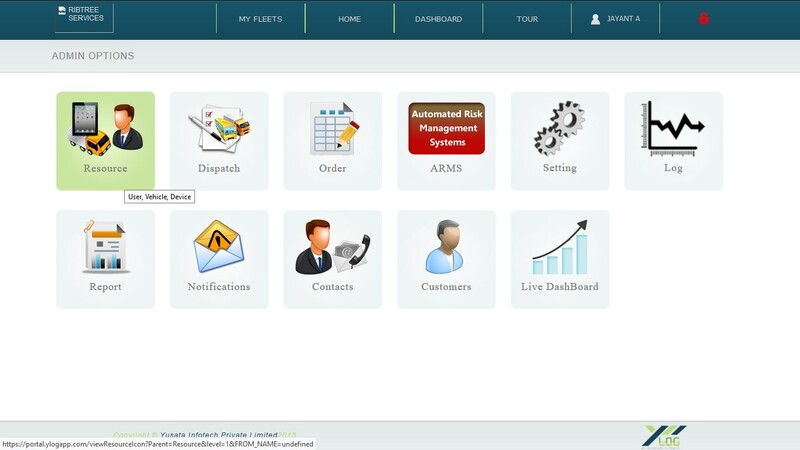 After login, you will be able to see Home Page. It has option for Order. 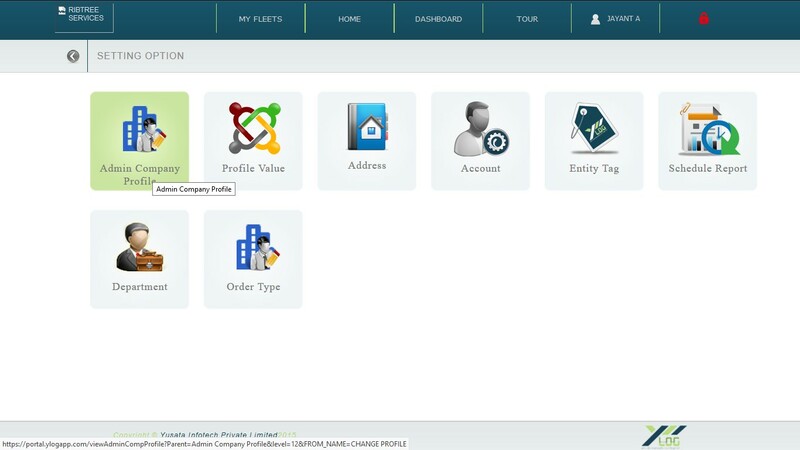 Click on “Order” tile and it will show you existing order/to create new order. Click on “+” icon and it will take you on order creation screen. A companywide unique number which is automatically generated to identify them. 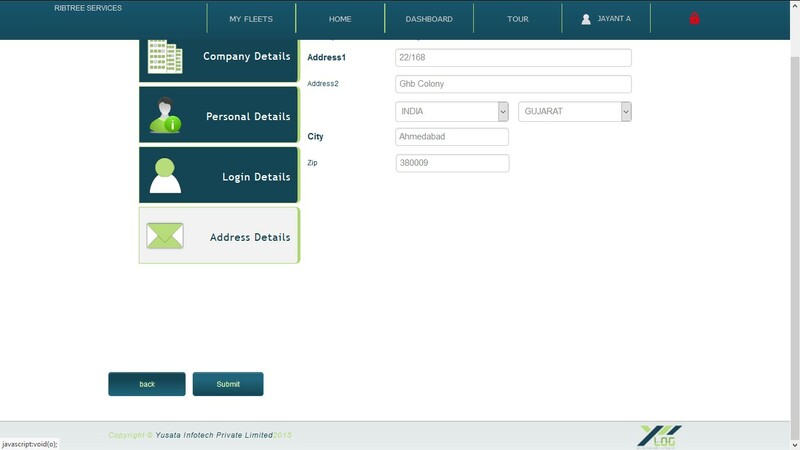 After filling all information about order click on “Proceed” button and it will open address tab where you can add contact number. 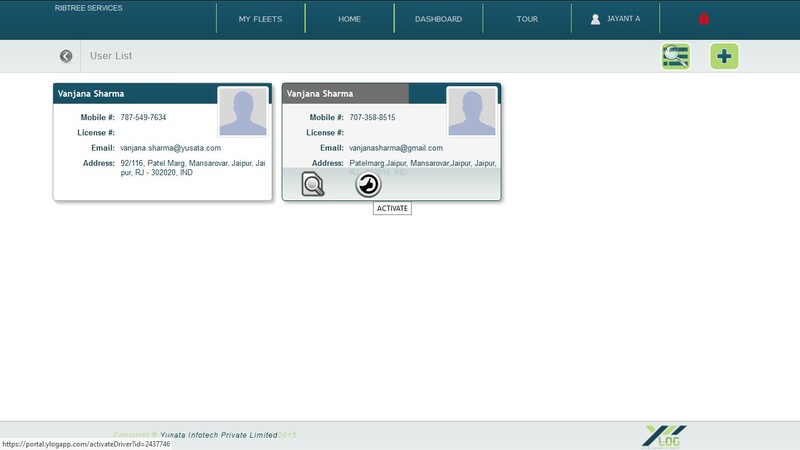 There will be a drop down when you start typing and you can select contact number from that list. 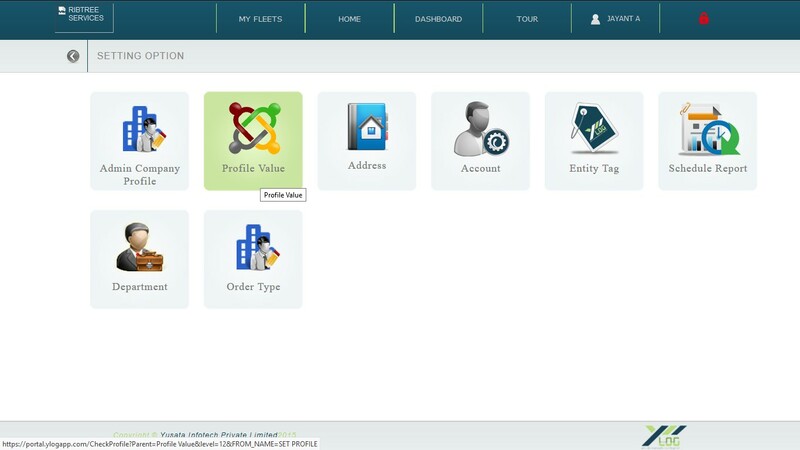 There is a button “Add address” which shows you a popup dialog box. 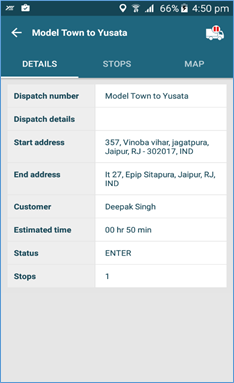 This dialog takes address for order delivery and you need to select delivery type means either it is “Drop off” (place to where order is going to be delivered) or “Pick up” (place from where order is about to be picked). Click on “Submit” button and then click on “Proceed” button to go to the “Item” tab. 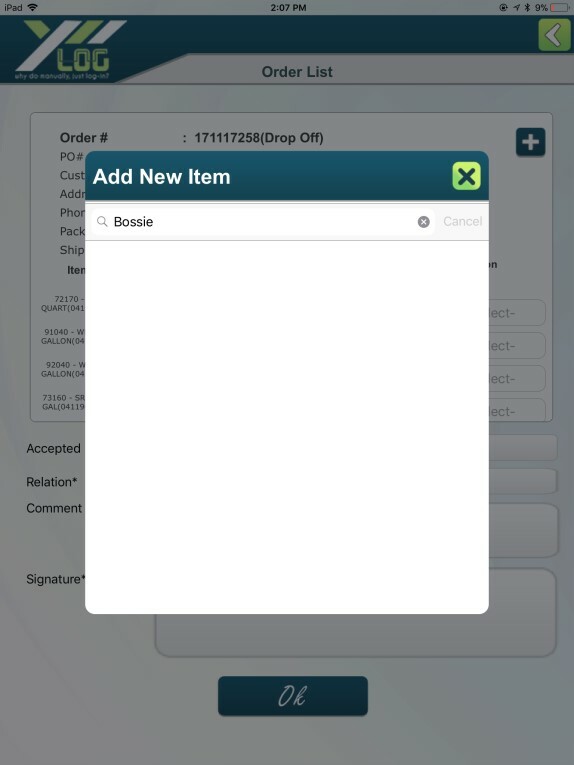 On the Item tab screen, you can select item from drop down list which opens up while we typing for some item. Once you have selected item then you need to choose “Case Pack” (how many case do you have of that item.) and “#Per Case” (means total number of item in one case pack). 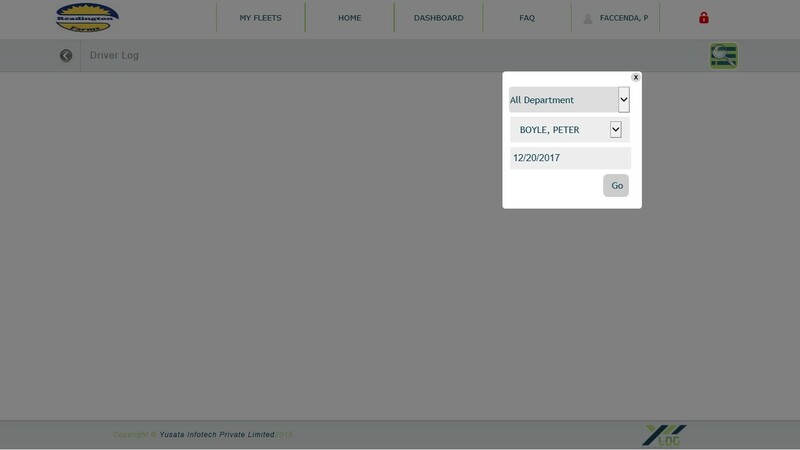 After selecting item and filling required information of item, need to click on “Proceed” button to “Dispatching” tab. 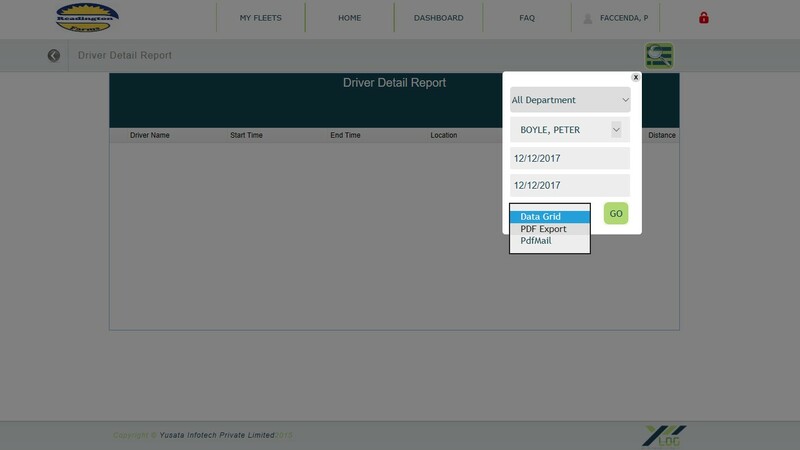 On the “Dispatching” tab, you can select “Sales Rep” (means Sales representative/driver), “Ship date” for that order and you can select a dispatch for that order by choosing from the Dispatch drop down. After these steps of order, you need to click on “Submit” button to add that order. 21. How can I see orders on device? First of all, you need to login to app with your valid credentials. After login you need to enter vehicle number which is registered with you and when you will have done with all this then you will be redirected to map screen which is home screen of application. Now click on hamburger icon which is shown of the top left corner of application. This will open a drawer of menus. 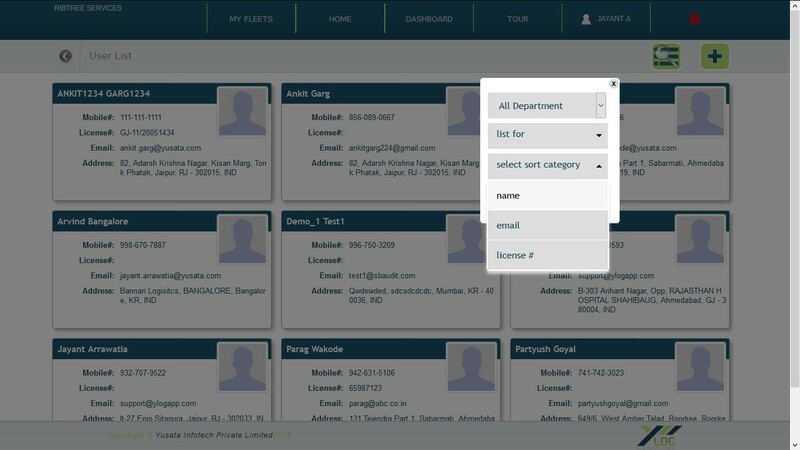 Now you only need to click on dispatches menu item and it will show you all dispatches available for you. 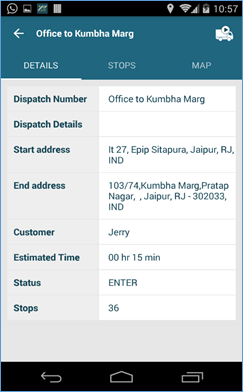 Click on dispatch which has order to deliver, it will open details of that particular dispatch. 22. How can I start a dispatch? 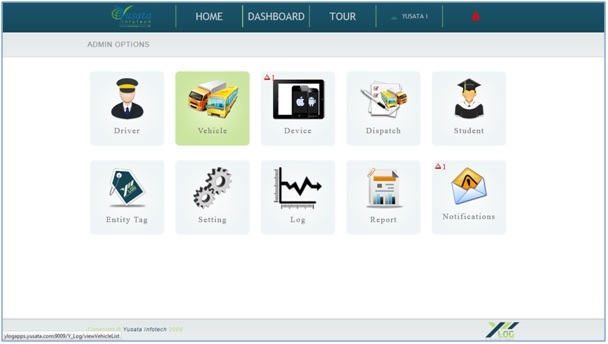 You can start a dispatch by clicking on vehicle icon in the top right corner of the above screen. 23. How can I see stops on a dispatch? By swiping left above screen, you can find “STOP” tab where stops list will be shown. 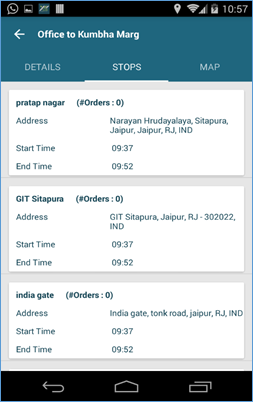 You can see complete details of order by clicking on the stop which has orders and you can find out that which one has orders by numbering tag shown as (#orders: 0). You can change accepted quantity and can select reason from drop down. 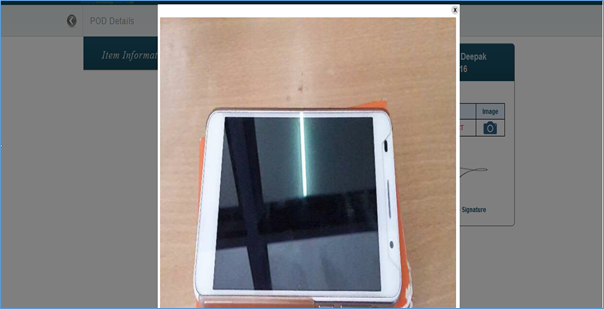 We have given camera functionality to click an image of that product if it is defective or has some quality issue or different order is delivered. After doing all this you need to click on “Capture POD” button to capture POD (Proof of delivery). 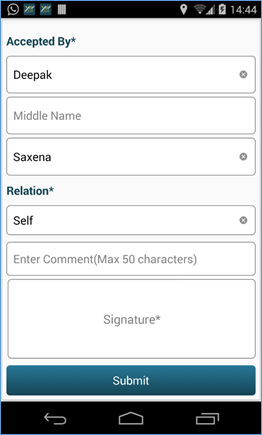 Here in this screen, signee details are going to be filled, you can enter some comment in comment block and at the last click on “Signature*” block and it will show you a screen where you need to do signature after that click on “Ok” button and then “Submit” button to capture POD. 24. How can I see captured POD? At the order’s details screen there is a button “Show POD” click on it and it will show you captured POD. 25. How can I stop a dispatch? 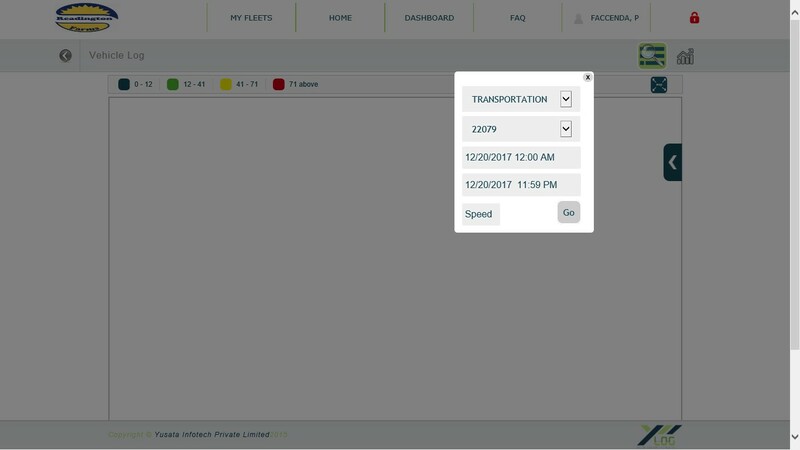 On dispatch details screen on the top right corner there is an icon of vehicle with pause media symbol click on it to stop dispatch. 26. 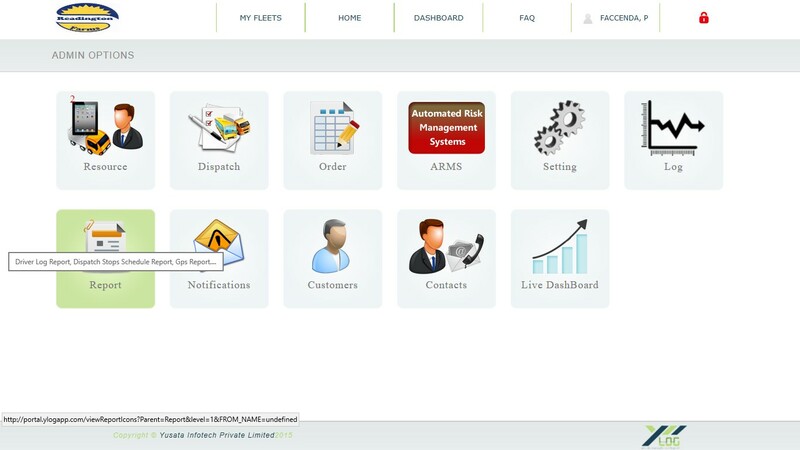 How can I track order on portal? Go on the Home page as mentioned in above steps. 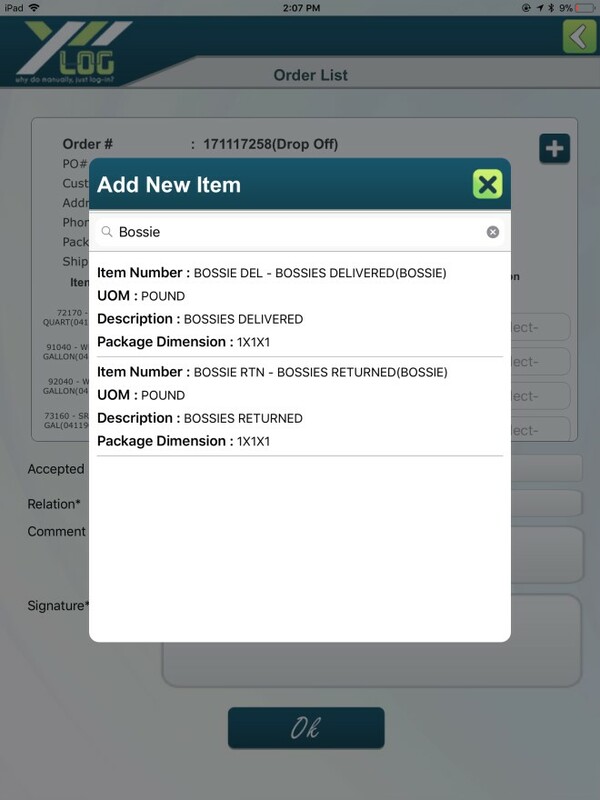 Then click on order tile and move cursor on the order which is going to be tracked. There is an icon for tracking click on that icon, then it will take you on tracking screen. Here you can track down you order. 27. How can I check POD on portal? Go to home page and click on Order tile then move your cursor on that order for which you want to check POD. Click on POD icon. After clicking POD icon following screen will be visible. You can see comments and image of POD. In the above screen, you can see signature in bigger size by clicking on signature and it will open a window with zoomed signature as shown below. You can check the POD image by clicking on “Camera” icon. 28. How can I download POD as pdf file from portal? 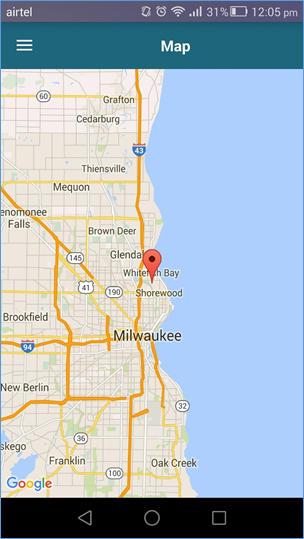 Click on “MAP-VIEW” icon and you will be redirected on a map screen which has a slider button on its right side. 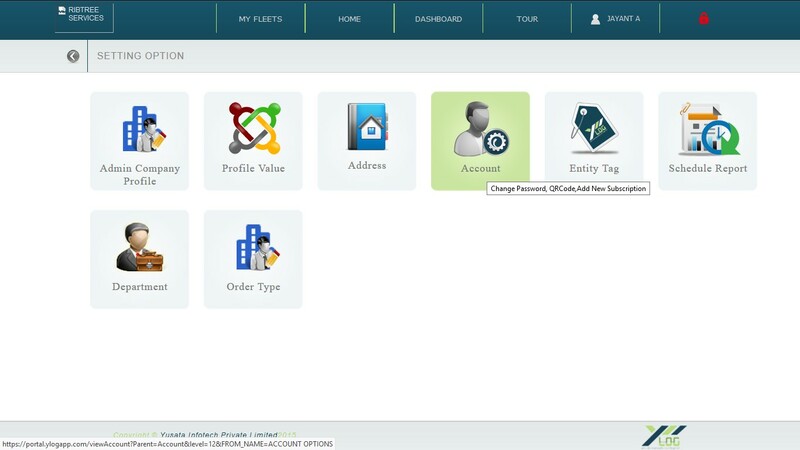 Now click on this slider button and it will open a slider with order’s list. Check the “Save File” radio button if it is not, then click “OK” button to save file. 29. 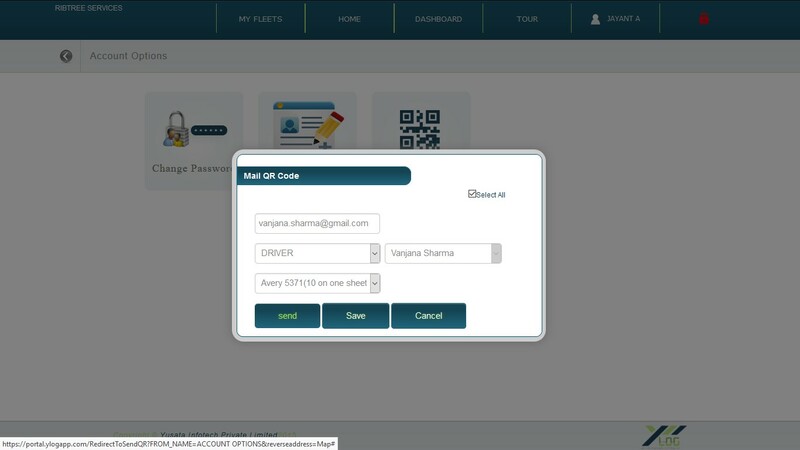 How to print a QRCode and send in email? 1. Click on QR Code, QR Code screen will open. 3. Click on Select All option. 4. 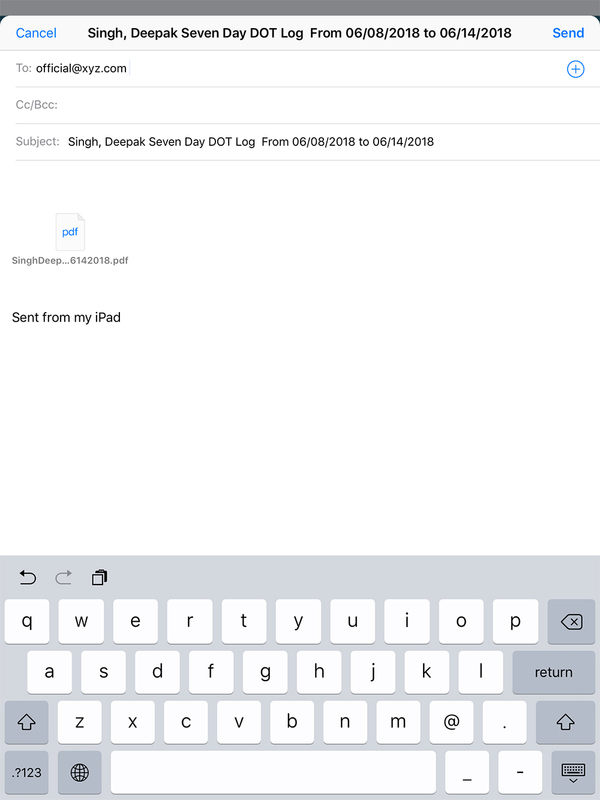 Click on Send, to send QR Code in mail. This email will be received. 30. How to search a user who is active or inactive? 2. 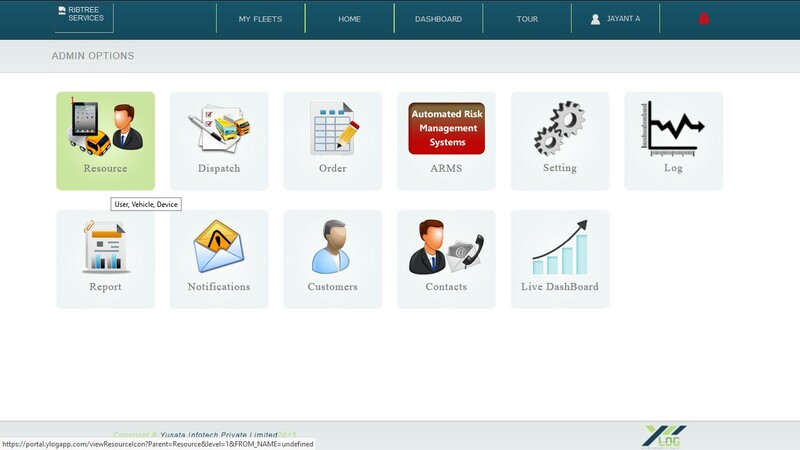 If you are looking for active user, then click on active in drop down menu. 3. 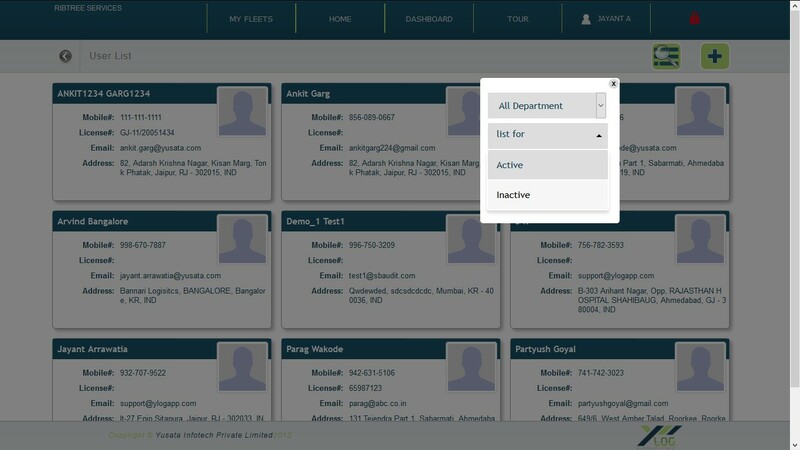 If you are looking for inactive user, then click on inactive from drop down menu. 31. How to enable an inactive user? 1. First of all, check if you are a valid user. 2. Search for concerned Inactive User. 3. Click on Thumb Icon to activate the inactive user. 32. How to update Company Logo? 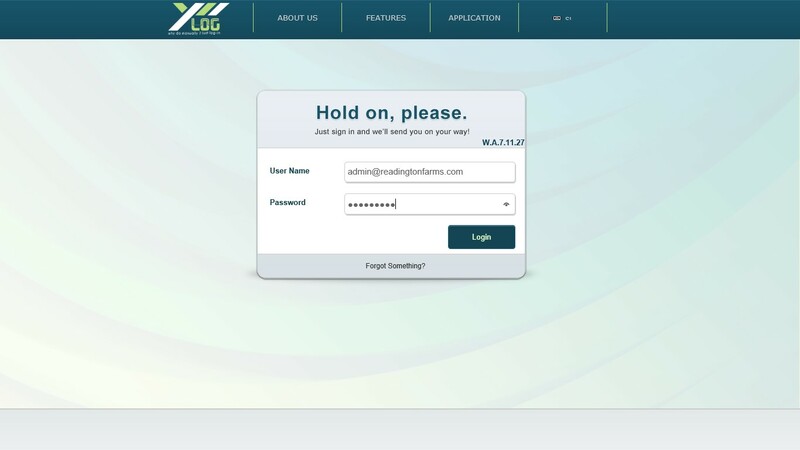 TO UPDATE LOGO, IF YOU’RE LOGGED IN, THEN LOGOUT AND LOGIN AGAIN. 2. Click on Logo Path option, to update new logo. 3. Proceed with all the details and finally, click on submit button. 33. 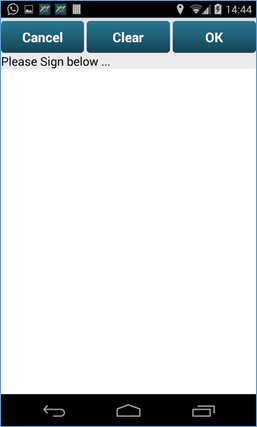 How to change header background in YLogApp? 2. 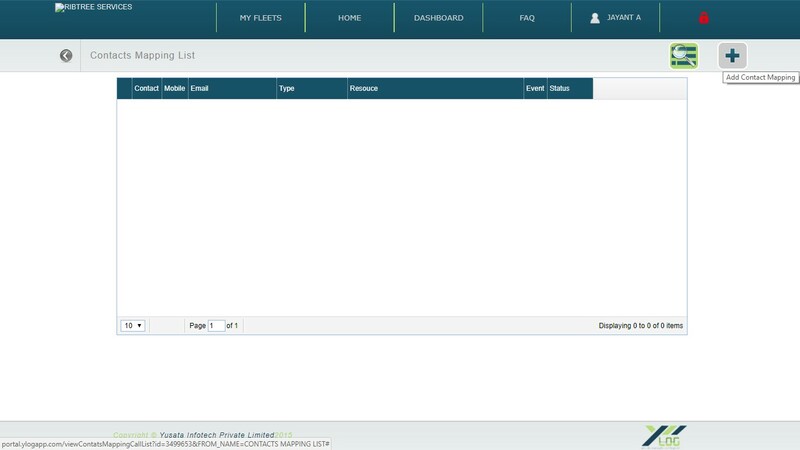 In the Base Values Section, select Header Background color, white/blue to change the header background color. 3. When you select any of the two colors, then a notification will come, that Your Header Background is updated successfully. 4. Click on OK to proceed. 34. How to change reporting and sync frequency? 2. 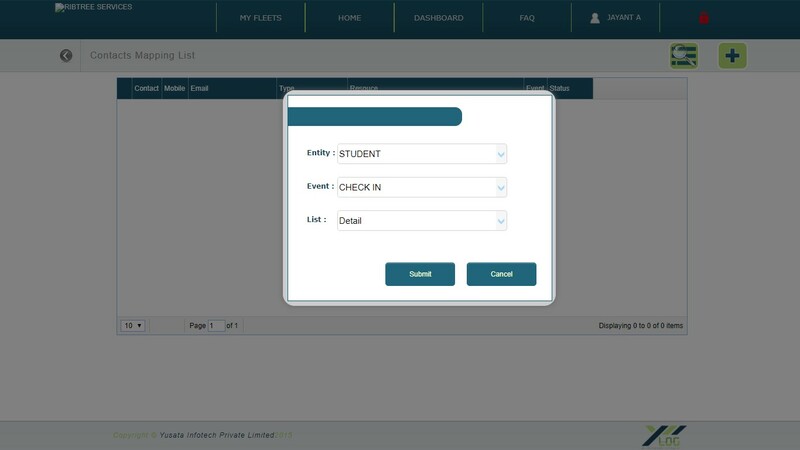 For reporting, click on Log Capture, and select the required time by you. 3. 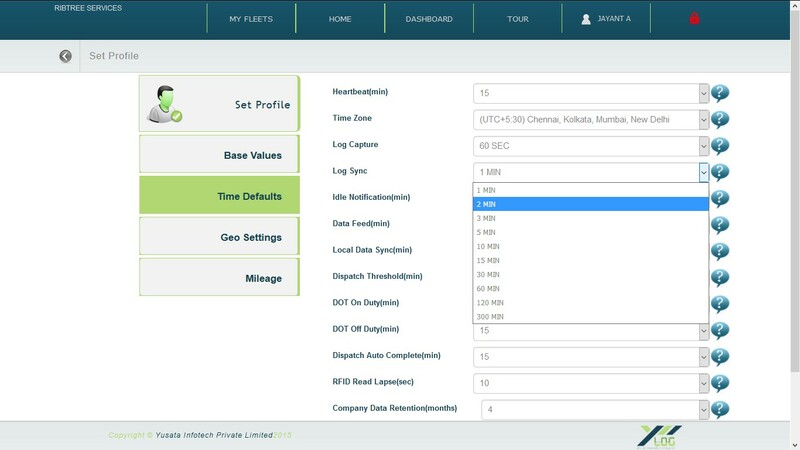 For sync frequency, click on Log Sync, and then select the required time for syncing the data. 35. How to change order quantity on iPad? 1. Sign In using concerned credentials. 2. Enter Vehicle Code to proceed. 3. Click on Dispatch button to move ahead. 4. List of all the dispatch will appear. Click on your dispatch. 5. To add items on order, it is necessary to start dispatch. 6. Following screen will appear, then, click on second button from the upper side bar to view stops. 7. After clicking on stop button, stop details will appear. 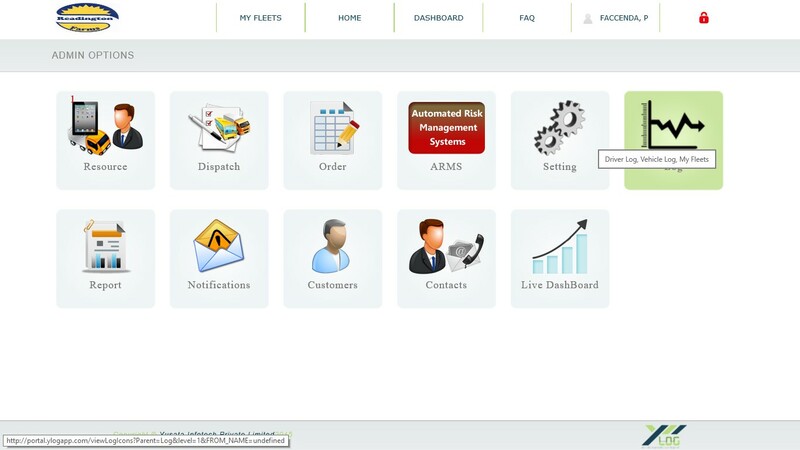 Select one order for which you want to edit the details. 8. 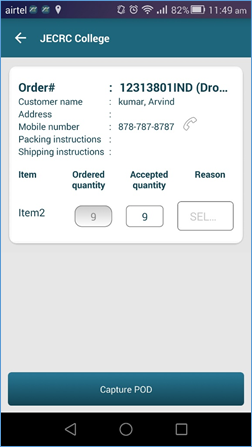 You can edit the order quantity manually and then click on OK button. 36. 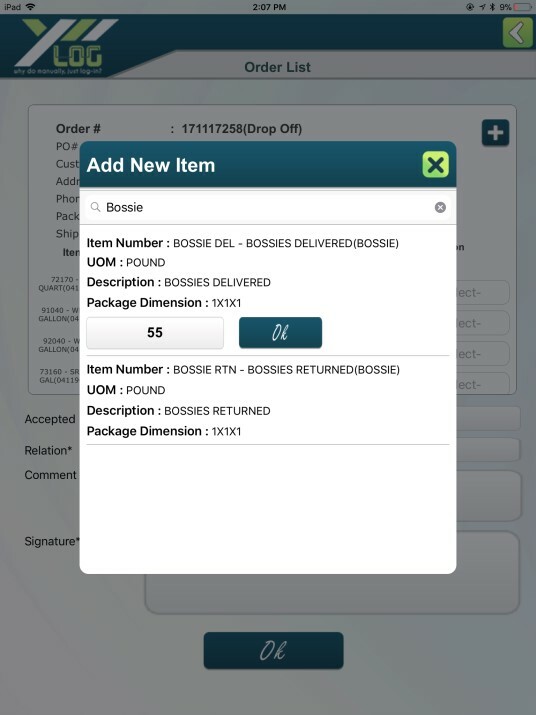 How to add new items on order from iPad? 2. Enter your vehicle code to proceed further. 3. Home Page will appear, click on the Dispatch screen. 4. After clicking on Dispatch, dispatch list will appear. 5. After selecting your dispatch from the dispatch list, certain screen will appear. 6. 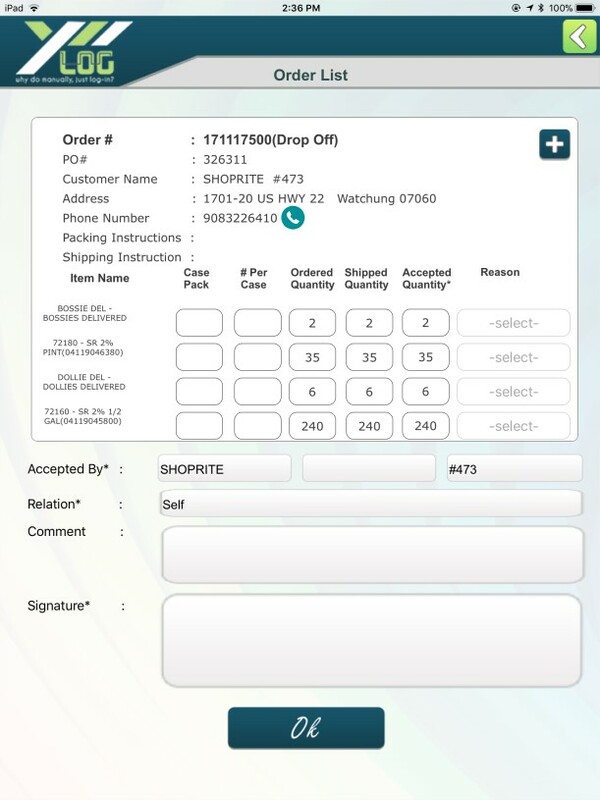 To add items on order, it is necessary to start dispatch. 7. Click on the second button from the upper right bar, stop details will appear. 8. Select your order, in stop details, concerned order details will appear. 9. Click on the Plus (+) button to add new items on IPad. 10. To add new item, it is mandatory to add UPC Code. 11. All items will appear related to the item searched. 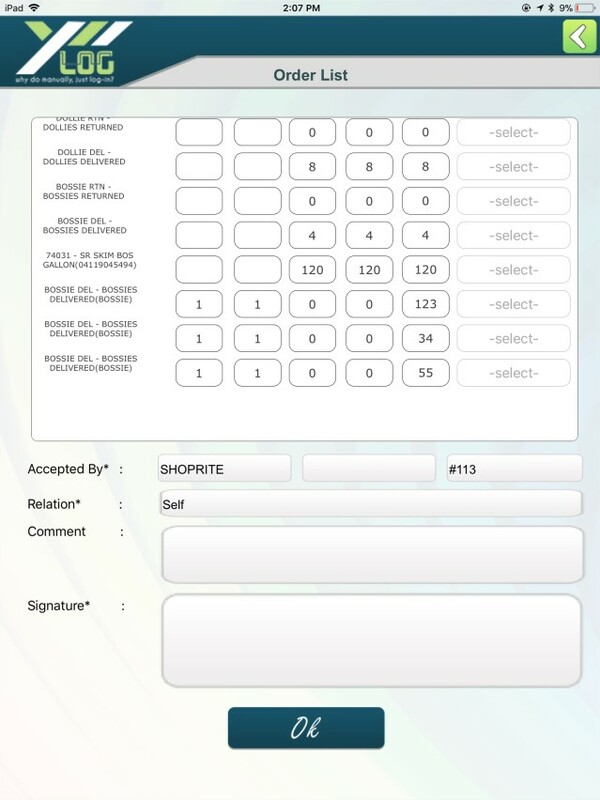 Click on the concerned order in which items need to be added. 12. Add the quantity of the item. 13. Item which is added recently will be shown at the last. 37. How to reset password? 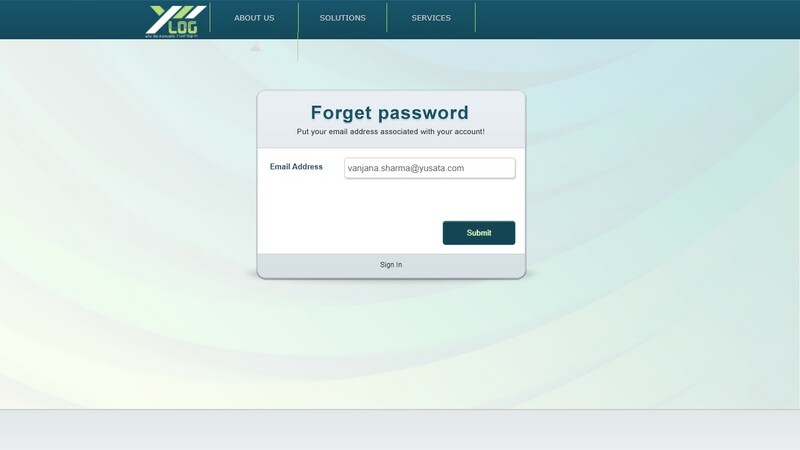 If you have forgotten your password, then following screen will appear. 1. Click on ‘Forgot Something’ to reset password. 2. It will ask you to enter your email id. 3. Email will be sent the mail id entered in email address option. 4. Click on the link, and reset password. 38. How to change password? 2. To change password, click on Change Password. 3. 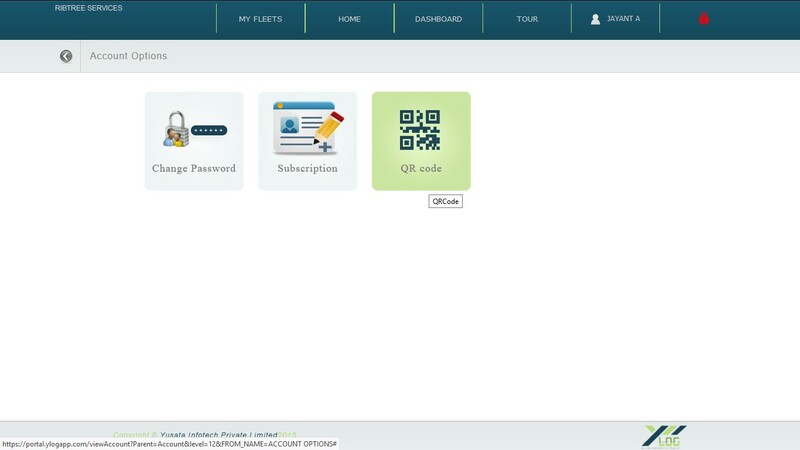 Enter new password and submit the details. 39. 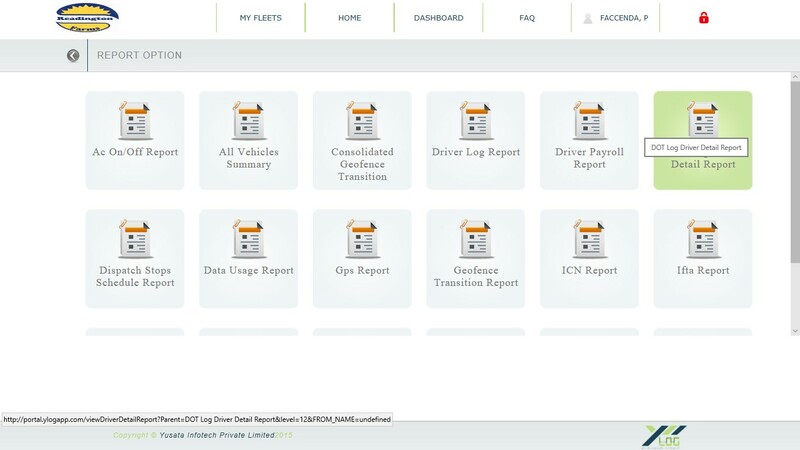 How to download IFTA Report? 2. After logging in, Home page will appear. Click on Home option. 3. Click on Report option to move further. 4. Click on IFTA Report from various report options. 5. 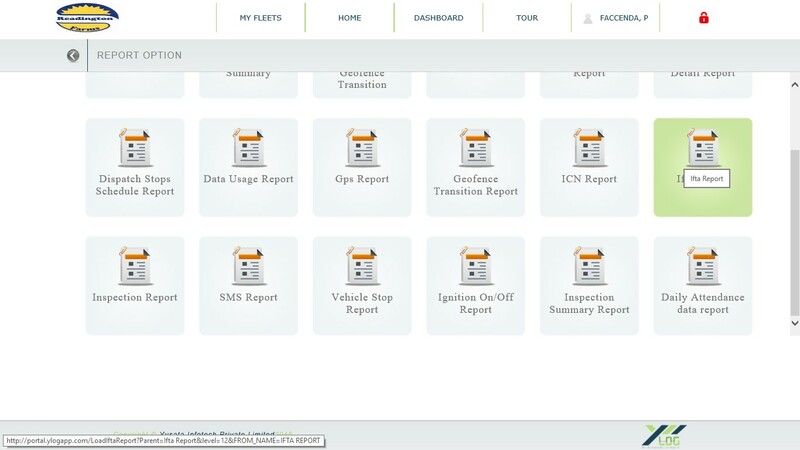 Fill all the necessary details and select the type of report format you want to download. 40. How to download DOT Log Report? 2. After logging in, Home page will appear. Click on Home option. 3. Click on Report option to move further. 4. Click on DOT Log driver detail report. 6. Click on Go to download the report. 41. How to schedule report and send in mail? 1. Login with the help of credentials. 2. Go to home and click on Contacts option. 3. Search for the contact in search option for sending mail to the specific person. 4. 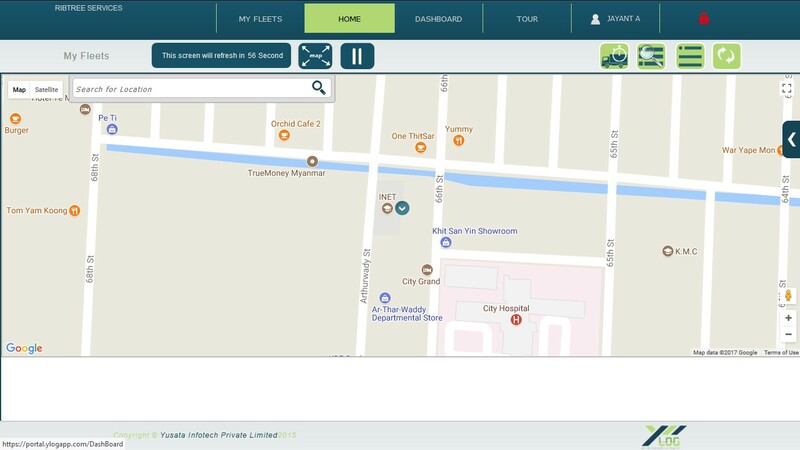 Click on mapping button to proceed further. 5. 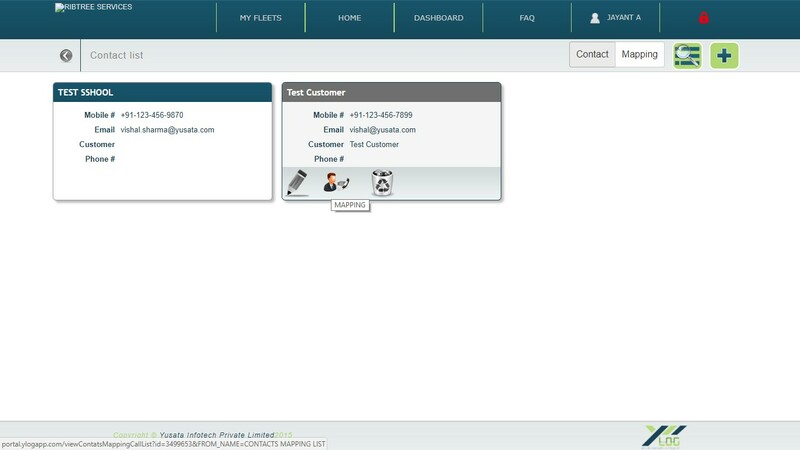 Click on Plus button to do add contact mapping. 6. After clicking on plus button, following list will appear. 7. 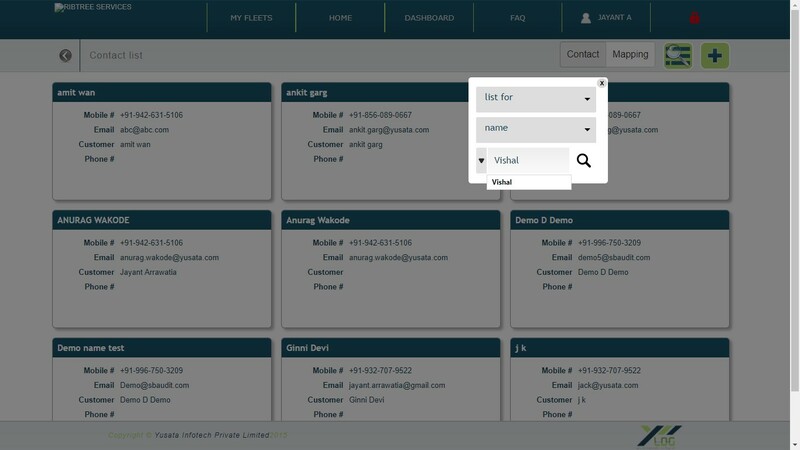 Fill all the required details; Entity, Event and List. 8. Finally, click on submit to submit details. 42. How To Check DOT Log? 1. 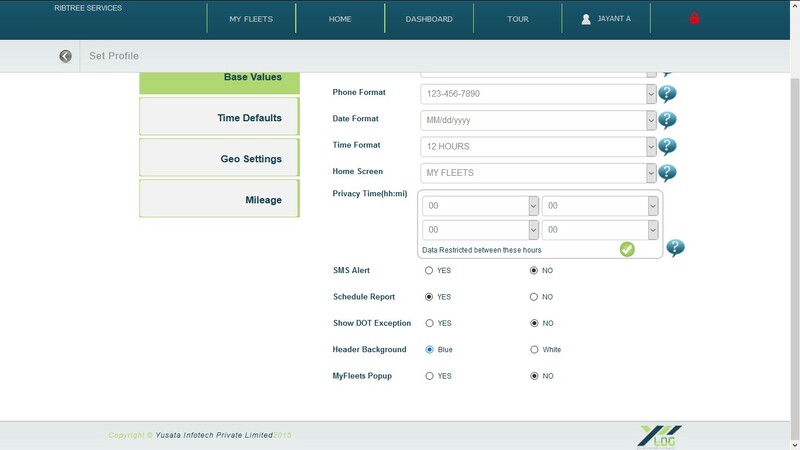 Go to Home – Log, three options will be available; Driver Log, Vehicle Log and My Fleets. 2. Choose Driver Log Option. 3. 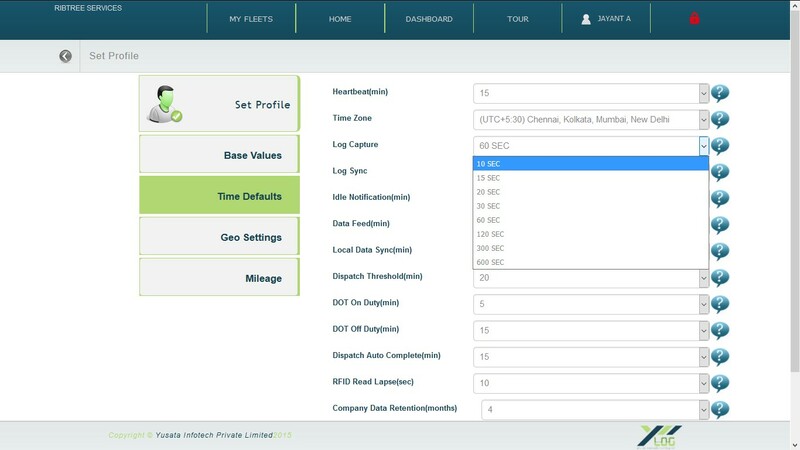 Fill all the required details to view Driver Log Data. 43. How To Check Vehicle Log? 2. 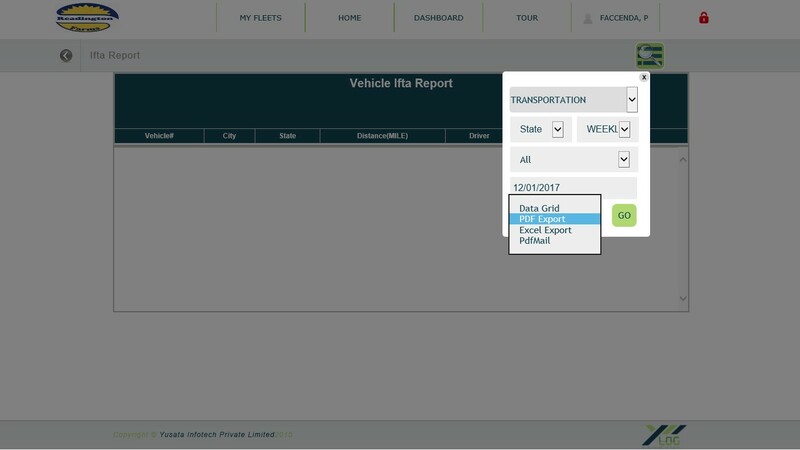 Choose vehicle log option to view any vehicle log data. 3. Fill all the required details. 4. 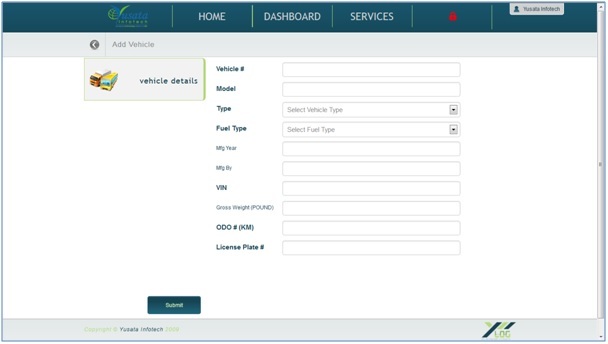 Click on Go and the vehicle log for the vehicle searched, will be displayed. IN CASE, AFTER SEARCHING VEHICLE LOG, FOLLOWING SCREEN DISPLAYS, THAT MEANS THERE IS NO MOVEMENT OF THE VEHICLE. 44. How to export driver payroll report? 1. Login into YLogApp with your credentials. 4. Close this box and click on “export” icon next to it. 45. What is Vehicle Code? 1. Vehicle Code is mandatory as a vehicle is assigned with a device. 2. 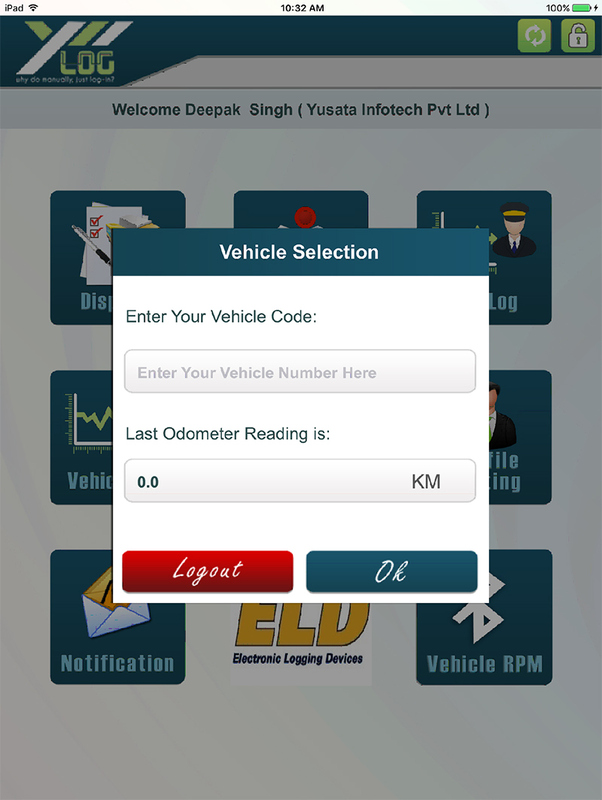 If the vehicle is already created into your account, and it is not engaged with any other device. 46. How to mail 7-Day DOT log ? 1. Sign In using concerned credentials. 3. Click on Dot Log button to move ahead. 4. Click on left most button on top menu bar. 5. 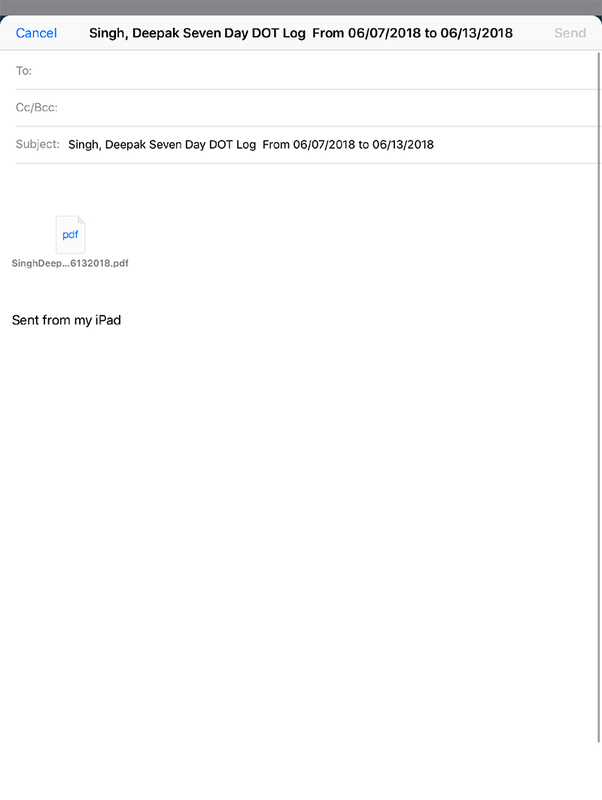 Click on mail icon to send DOT log pdf. 7. Check alert to confirm mail sent or not. You are not a valid user. You are already logged into Device. 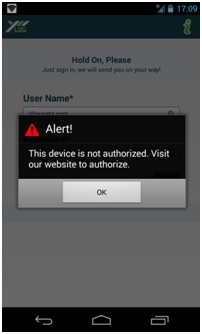 Device is not authorized. Contact to your admin.